2sxc is all about solving common content and web tasks quickly and efficiencly. Because of this we're enhancing the in-page toolbar with advanced features (only visible for users with elevated permissions). We introduced these buttons for various reasons. 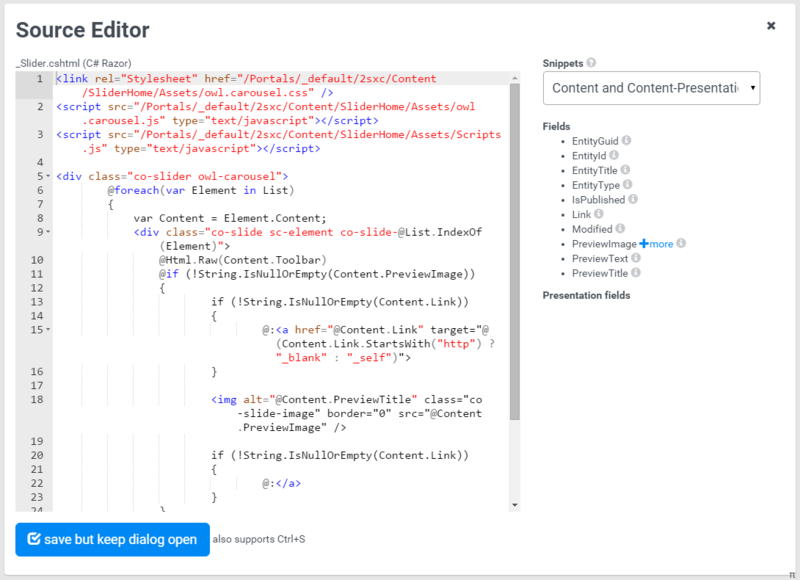 On one hand, we wanted to ensure that all functionality is available without having to go into the slow DNN-Edit-View, but also to provide quick access to the most commonly changed things. Sherlock-Snippets which give you advanced snips like foreach loops or ADAM-snippets based on the field-type you select. Sherlock also knows if you're working on a Token or Razor template, and adjusts the snippets to your scenario. You should also know that the editor opens in a new browser-window, and the save button will leave this window open. The reason we did this is so you can change something, try it, and if necessary, undo it :).